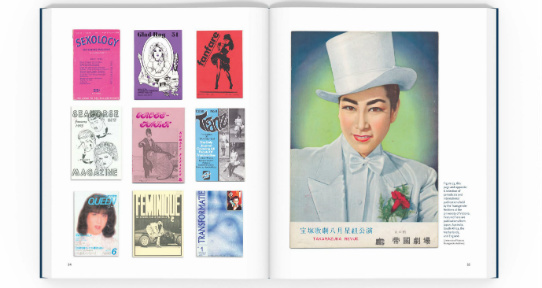 A page from the award-winning publication, The Transgender Archives: Foundations for the Future, supported by a SSHRC Connection Grant for the Moving Trans* History Forward 2014 symposium sponsored by UVic Libraries. University Librarian Jonathan Bengtson discusses new digital collections: the Fort Victoria Journal and a digital collection of B.C. 's earliest maps. 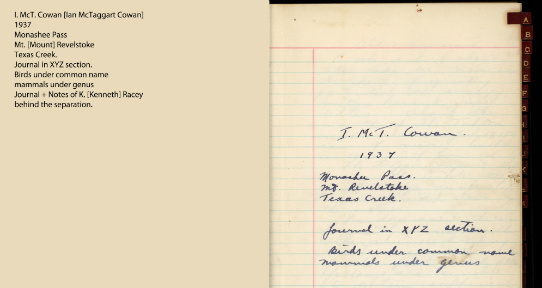 A transcription sample from the Ian McTaggart Cowan field journals, funded through the Habitat Conservation Trust Fund. 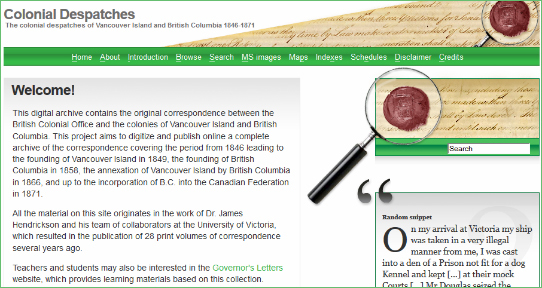 UVic Libraries digitization of the Colonial Despatches through the B.C. 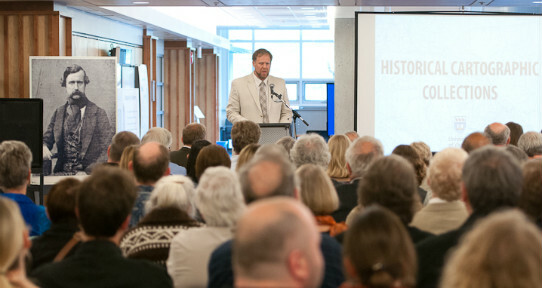 History Digitization Program. 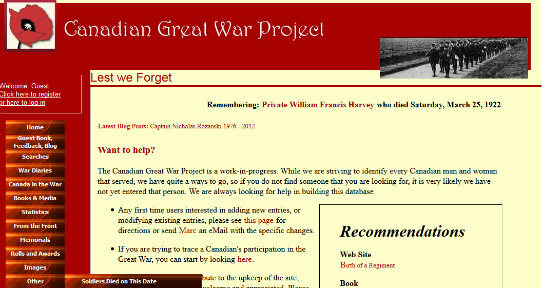 A screen shot from the Canadian Great War Project website, funded through Veterans' Affairs Canada. The University of Victoria Libraries has significant infrastructure and expertise to support digital publishing and asset management. We can partner on grant applications to meet project requirements for metadata standards, web publishing, dissemination, research data management and preservation. For detailed information on our services and their estimated in-kind values, please see our Hosting and Preservation Services for Grant-Funded Research Projects aka our “Grants Menu”. the repatriation of the Canadian Great War Project website, funded through Veterans' Affairs Canada. There are many grant and funding opportunities available for faculty and librarians, students and staff. For detailed information about funding opportunities, consult the Grants and Awards subject guide. For information about all our library-led grant-funded projects, for a complete overview of projects by year, or to find out more about collaborating with the Libraries, please contact Christine Walde, Grants and Awards Librarian.